After pleading guilty to a drunk driving charge, the second in command at the police intelligence division, Jorge Torres, got off easy by donating 400,000 colonies to four charitable groups and a sentence to community service. 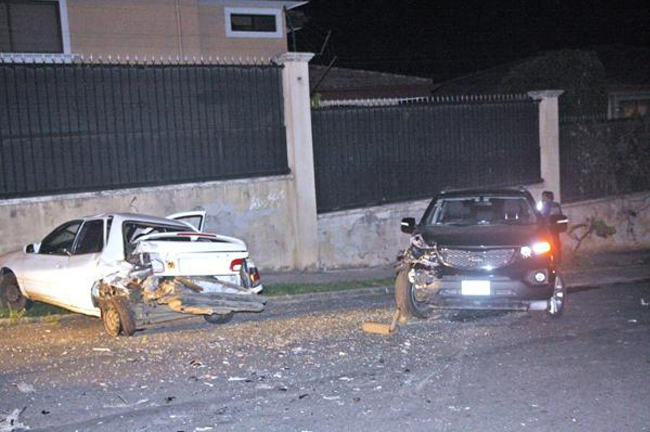 Torres was arrested May 19 in San Antonio de Escazu after an auto accident. He could have drawn jail time — he tested almost three times the alcohol blood content than is permitted while driving. Prosecutor Elena Abarca told Judge Hugo Vargas that Torres tested out 2.04 grams per liter of blood when the legal limit is .75 grams of alcolhol. Torres, 46, did not lose his license but must not drive while drinking. He must serve 200 hours community service with Red Cross in Escazu, must attend a weekly session for persons with alcohol problems and pay 400,000 colones to four institutions attending to children’s health. Judge Vargas said that if all the punishments were carried out in two years, he was prepared to expunge the record. Torres was arrested after his Kia rear ended a parked car. Eduardo Araya, Torres’s lawyer, told the judge at the hearing that his client had already paid 1.7 million colones for repair to the other car’s damage. La Nacion reported that a look at public accident records shows Torres with seven infractions since 1999. Comment: Why does this reporter get the feeling that, if such a thing came to pass with one of his middle class neighbors, said neighbor would be looking at the world through a set of iron bars right now?